After the restart Mette Bjerknaes headed back to the pontoon in her poorly handling Moore hull, to make matters worse she had lost her radio antennae. She could still make the Grand Prix though as Duarte Benavente has found a leak in his fuel tank which could see him not start. With just four boats remaining the pressure was now off leaving Alberto Comparato to cross the line in first place followed by Uvis Slakteris, Mohamed Al Mehairbi and Harri Lehti. It was hugs and high 5’s all round in Team Tuttamarano, after their driver David Del Pin won the Lithuanian Grand Prix Match Race on Saturday evening. In a dramatic final he came from behind to beat the local hero Edgaras Riabko into second place by less than half a boat length. 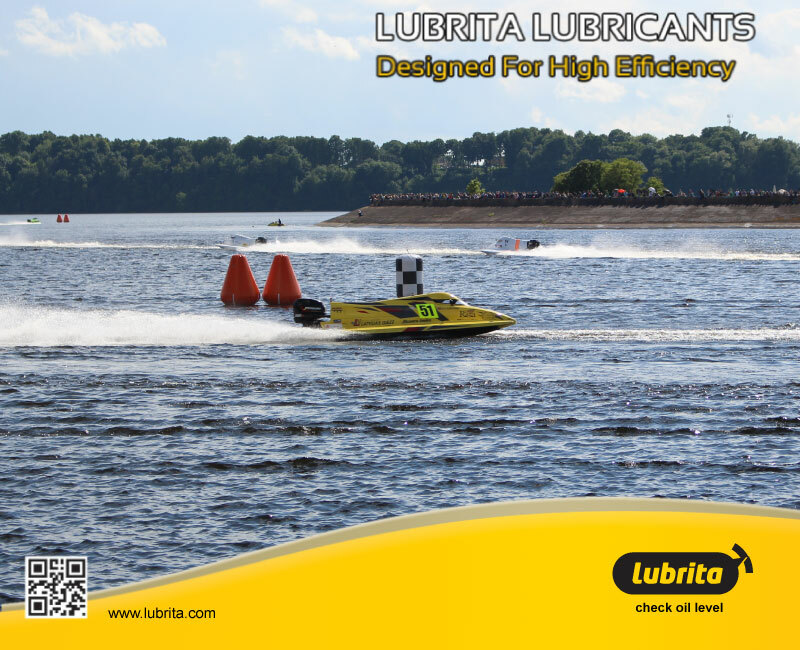 Congratulations to all racers from Lubrita Team! #LUBRITA #family #members #participated at #SUPER #Great #Event #2017 #UIM #F2 #Lithuania #Grand #Prix: #Kaunas 10th, 11th June.